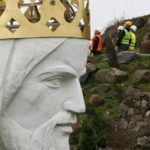 The construction was carried out for about two years. Installation and welding works were carried out by local firm “Tehspav” from Skompe of Lubuskie province. In December 2009, construction was suspended, as close to a monument passes high-voltage power line. 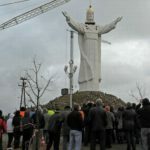 In April 2010, permission was granted, and the construction was resumed. 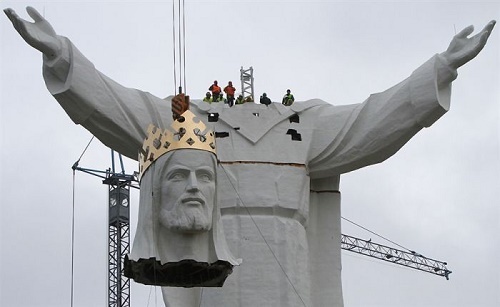 November 6, 2010 was completed installation of the head and crown of the monument. Hollow monument made of reinforced concrete on the steel frame. 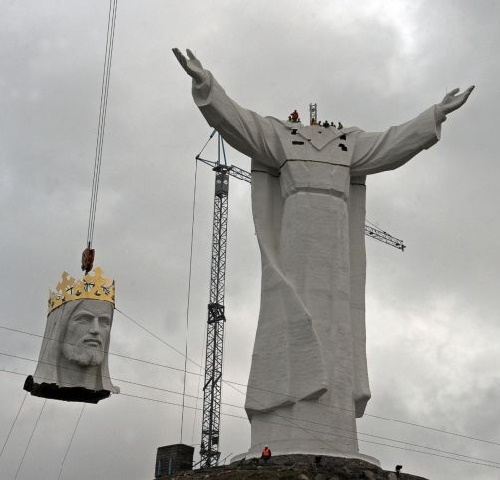 Mass construction of 440 tons Installation was carried out in stages: first, was installed the body of the statue, then the shoulder girdle and the head with the crown. 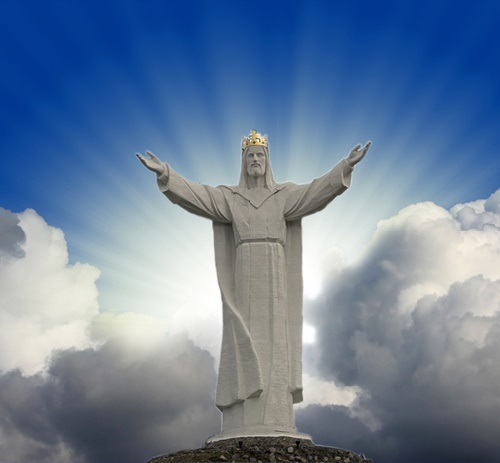 The gilded crown of the statue has a size of 3.5 meters in diameter and about 3 m in height. 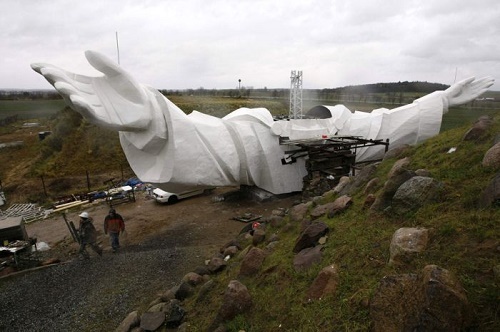 The head of the monument has a height of 4.5 meters and weighs 15 tons. 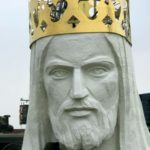 According to others, the head is made of hard plastic, rather than concrete as initially expected, so its weight has decreased threefold.